No spend challenges aren’t a new concept. If anything, the ridiculous spending habits we’ve developed have replaced the naturally frugal, financially intelligent spending that our ancestors considered to be normal. If you’re unfamiliar with a no spend challenge, we’re going to dive deep into the concept. This will be your complete guide, your no spend tool kit for success. Settle in, get your notepad ready and prepare to learn how to save a ton of money! Much like the great and powerful Oz hiding behind the curtain, not many know the money saving power of completing a no spend challenge. We’re going to blow the lid off this bad boy, you’re going to save a ton of money, and this year will be known as no spend 2019! Seriously, that’s it. Although the definition might be a touch boring, the concept will literally change your life. The best part of this whole thing? You’ll save a ton of money and there aren’t many rules to worry about…well, besides not spending money during the challenge. The key take away of a no spend challenge is you’re going to slow your spending and increase your savings. You’re going to love this! 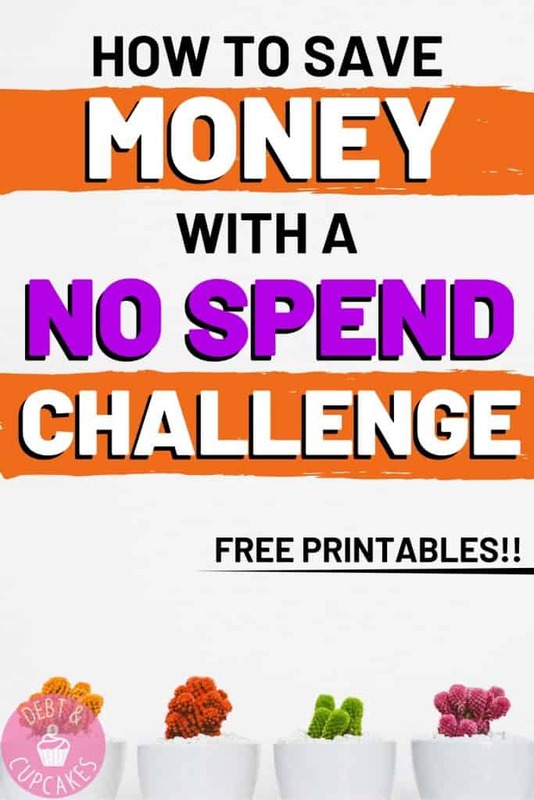 Don’t forget to grab your free no spend challenge printable below! No spend 2019 has a nice ring to it, right? I know… it sounds pretty cool, but there are some really amazing reasons why you should complete a no spend challenge this year. If you’re still on the fence about saving money, these reasons will definitely change your mind! Who doesn’t love to save money? Maybe you’re trying to save your emergency fund, or you’re putting money into sinking funds for future expenses. A no spend challenge will help you quickly meet your savings goals. By slowing your spending, you’re going to save more money than you ever thought possible. These tiny money leaks can slowly and silently sink your financial ship. They’re deadly because you rarely notice them. $10 here, $15 there and before you know it, the month ends and you’re left in a state of confusion because you’re broke. A no spend challenge will not only freeze these money leaks, but it will plug the leaks totally! Don’t let your financial life suffer a death by a thousand cuts. Creating a budget and then sticking to it is extremely hard. Identifying how much you actually need to spend each month can be a long and tedious task. To make matters worse, after you think your budget is perfect you overspend on something and all you want to do is throw your hands up in disgust and burn your budget! Think of your budget like a computer. If your computer starts acting up, what’s the first thing you do? Turn it off and back on again, right? Consider a no spend challenge a reset for your budget. By only spending money on agreed upon items, you’ll quickly be able to establish a new budget and identify your true spending needs. A no spend challenge isn’t easy. It’s going to require a lot of will power and discipline. 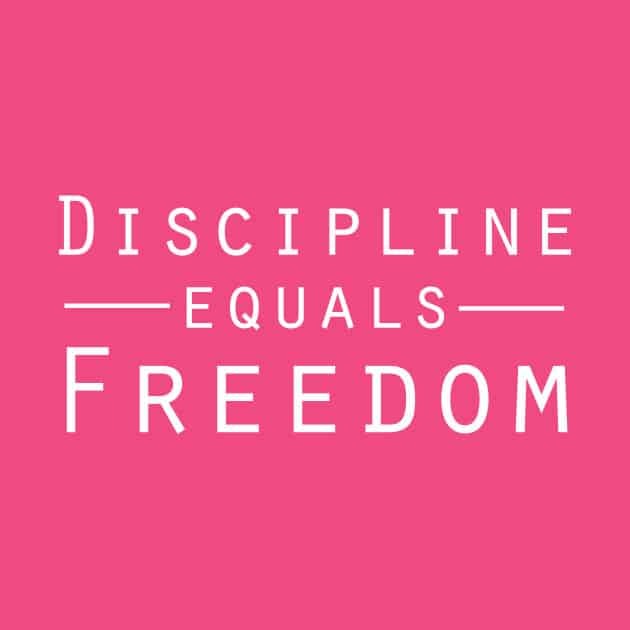 An amazing side effect of discipline is the freedom that follows it. Jocko Willink is a former Navy Seal turned motivational speaker. One of his popular quotes is “discipline equals freedom”. I never understood this completely, until I started being extremely disciplined with my money. By following a rather rigid budget, I’ve come to learn that I can afford almost anything. By not spending money on the small meaningless things, you’ll quickly learn you have more money than you ever imagined. The discipline required to complete a no buy challenge will open your eyes to the world of financial freedom. You’ll learn you can control your spending and that you actually have the ability to save more money than you had ever thought. The discipline you’ll develop completing these challenges will continue long after your challenge ends. Thus improving your spending habits and financial life forever. Patience is a virtue, and it’s a real pain to develop. Pausing before buying something, even something small is annoyingly difficult. A no spend challenge will help ingrain patience into your life. The ability to wait days, weeks or even longer before making a purchase is an acquired skill. Your no spend challenge will have a time frame attached to it, so you’ll have to wait before you make that impulse buy. You’ll learn that waiting is actually a lot easier than you expected… and you probably won’t go back to make that purchase anyway. Another name for a no spend challenge is a pantry challenge. A pantry challenge means you’ll refrain from buying groceries and only eat what you have stocked in your pantry, refrigerator or freezer. This can last for a week, or much longer depending on how well stocked your home is. A recent study from the USDA found that the average American wastes 225 lbs – 290 lbs of food per year. This amount, per American, is enough to feed almost 2 billion people! By completing a pantry challenge, you’ll learn to create new meals, utilize your entire stock of groceries, and stop wasting food. After all, how many times have you bought groceries to replace the expired groceries, only to have the new groceries expire before you use them? It’s madness! Stop wasting money and food. Break the cycle with a pantry challenge! The simple fact of shutting down your spending will force you to appreciate what you already have. After I decided to slow my spending, I quickly realized that most of the items I wanted to replace were still perfectly fine! I may have taken my desire to not spend money a bit too far when I dropped my cell phone twice and broke the screen. I carried around a ratchet cell phone for months, getting tiny little shards of broken glass in my fingers every day. Eventually, I did cave and I replaced my phone, but I’ll be honest… I appreciate this cell phone more than ever. I guess I never realized how amazing these tiny, but expensive devices were. Plan, plan, and plan some more. Before you decide you’re going to stop spending money, you should put together a detailed plan and discuss it with your family. After all, this is going to be a change for everyone and you want to make sure everyone understands the rules! After you’ve had a family meeting, you’ll want to look inside yourself. Evaluate your current emotional state, why you’re doing this, what are you expecting to achieve, and what rules you’re putting in place for your no spend week or no spend month. The emotional side of personal finance isn’t covered enough. The vast majority of overspending is directly related to emotional spending. What is motivating me to do this? What would I do with more money? What excites me about this challenge? What fears do I have about this challenge? Keep this audit handy. You’ll be referring back to it during your no spend challenge. 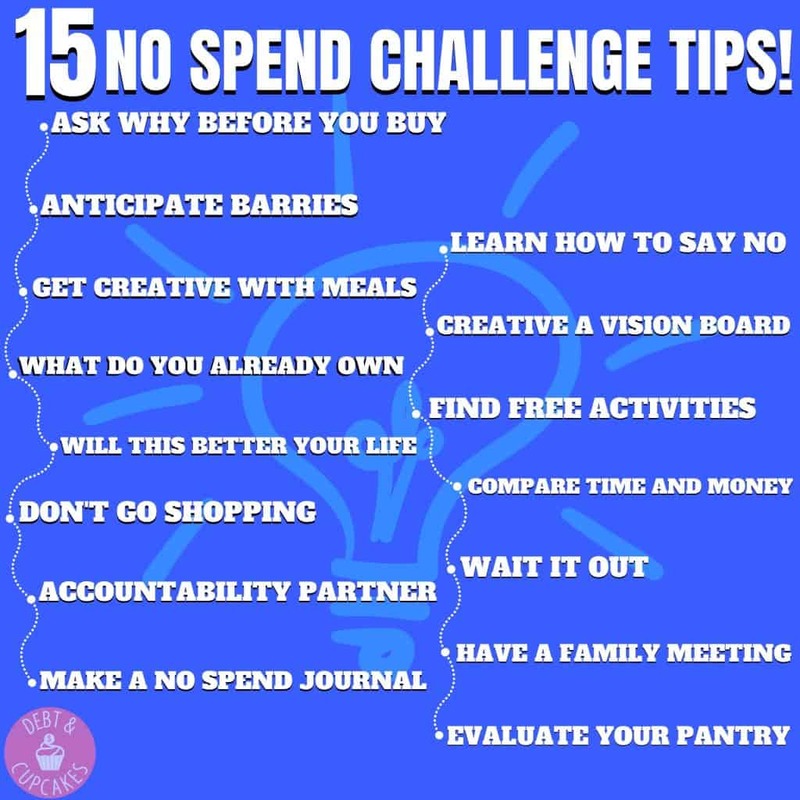 Why do you want to do a no spend challenge? What’s motivating you? Are you trying to save money, break poor spending habits, or simply take your already awesome savings to the next level? There are many reasons someone decides to rock the challenge, but what is your reason? I was often motivated by the desire to break bad spending habits. To prove to myself that I can save more money, and I can change my financial life. I wanted to break away from the masses buried in credit card debt and secure a financially secure future for my family. Goal setting and personal finance go together like peas and carrots. Get out your no spend bullet journal out and write out your goals. What exactly are you going to achieve? Are you going to stop buying clothes for a month, stop going out to eat for 6 months, or simply not spend money during the week? For example: During my no spend challenge, I will completely stop spending money for 14 days. Not only is that goal a SMART goal, but it’s also a simple goal too! There isn’t a reason to over complicate your goals. The old adage “Keep It Simple Stupid” is around for a reason. Your no spend challenge has to have a clear set of rules. Without the guidelines you set in place, the odds of success are drastically diminished. Write down your rules, keep them close by and refer to them any time you’re unsure if you can make the purchase that’s tempting you. I would highly recommend building your rules around the items you’re going to continue to buy and the items that you’re not going to spend money on. Also, you should consider how long your challenge will last, or what days of the week you’ll be challenging yourself to not spend any money. After all, a no spend challenge can be anything you want it to be. Having a clear set of rules will establish clear boundaries for your no spend challenge. These boundaries will pave a clear path toward financial success. A no spend challenge can be pretty intense. Especially the first time you embark on this money saving journey. Deciding when to start is incredibly important. You certainly don’t want to start your no spend challenge before you’ve had a chance to talk to your family, and you certainly don’t want to start it around your first wedding anniversary! Will you eventually be able to have a no spend anniversary? Sure! Just maybe be cognizant on how your family will deal with this the first time. You’re going to want to repeat this challenge again and getting their buy in is important. Should you do a no spend day or a no spend month? I’ve ever heard of people doing no spend years! Although I love this money-saving tool, I’m not sure I’m ready for an entire year! The length of time you put in place is completely up to you. Saving money even for a day once a week will add up over time. I would suggest starting small. Do a no spend day. Then after you’re successful, add another day on. Create a goal to complete a no spend week, then a month… who knows where you can go from there! I wouldn’t suggest starting out too aggressively because winning even a small victory is better than failing. Is There a Wrong Time of Year to Start? Listen, I’m all about saving money. I think most Americans spend far too much money on meaningless things, however… consider current events and who in your family will be impacted by your no spend challenge. Are you going to skip out on birthday or Christmas gifts? Are you going to try a no spend challenge while traveling? I’m not implying you should go crazy with your spending during these times but don’t set yourself up for failure by planning your challenge during events that typically cause an increase in spending. I’m a huge advocate for fiscal responsibility but plan your no spend challenges around the many days or weeks of the year that you’re living your typical routine. Find success by planning your challenge around the right time of year. As you gain confidence and willpower, you can push the money-saving limits! We’ve covered a lot of ground so far. 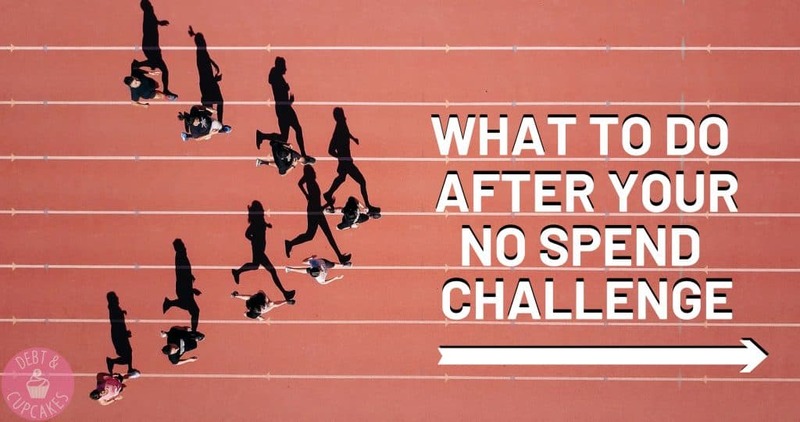 You’ve learned what a no spend challenge is, why the challenge is important, how to get started, and when you should plan your challenge. Now it’s time to dig deep and share the most important no spend challenge tips. Before spending money ask yourself “why am I buying this”? Does the item bring you happiness, or improve your life in some way? Or, are you just being tempted with an impulse buy? If you can’t answer why, don’t buy! This simple question will prevent you from impulse spending and ensure your no spend challenge is a success! If this was easy everyone would do it, right? There are millions of barriers to your success during your no spend challenge. What potential barriers do you see in your future? Will your no spend week fail because you have a party you feel obligated to attend? Will your no spend challenge fail because your spouse isn’t on board and enjoys some fast food every day for lunch? There are many barriers, each of them personal to your life. Look at what potential barriers exist and develop a plan for navigating them. For example: You know that during your no spend month there’s the possibility for a family to visit. Instead of hoping it all works out, you decide to give them a call and plan their visit after the challenge ends. Or, better yet… You put together a plan for entertaining them that won’t cost a dime! When the desire to buy strikes, pause before reaching for the debit card. What’s going to happen if you wait a week or month before making the purchase? You’ll have time to consider if you really need the item or not. Your rational brain will have time to overtake your emotional brain (your amygdala) and you’ll make a better decision. Your no spend challenge will help you establish a 30-day buying rule. Before making purchases, wait 30 days. The simple act of waiting will allow the buying urge to pass, and you’ll make the right financial decision. This little tip has helped me stop spending money on my hobbies. Before making your next purchase, think about what you already own. Is this purchase replacing something that you already own, or is this a new item that will meet a current need that you have? Anytime I get the urge to buy, I now think about what I already have that will do the job. Most of the time I’m just enamored with the thought of something new and the purchase isn’t practical at all. Marie Kondo is all the rage in 2019, and I have to say… I love asking the question “will this bring me joy”? Before you break your no spend challenge, ask yourself this simple question… Will this purchase better my life? If so, how? If the purchase won’t better your life, it’s not worth breaking your no spend challenge. You don’t need it. The urge to spend money will be the strongest when you’re actively shopping. Shocking, right? It’s bad enough that we get bombarded with commercial advertisements, don’t risk ruining your no spend challenge by killing some time at the mall. Much like dieting, having someone else to hold you accountable will drastically improve your chance for success. Find a friend or family member to help hold you accountable. Have frequent check-ins with them. Discuss your no spend challenge rules with them and keep them on speed dial anytime a spending urge creeps into your mind! Just like your pre-challenge journal, you’ll want to update your no spend bullet journal weekly during your money saving challenge as well. What continues to excite me about this challenge? Have any of my fears become a reality? If you’re doing a no spend month, update your journal weekly. Journaling allows you time to clear your mind and evaluate your feelings. Plus, journaling is a great way to reduce stress… and you might be feeling a little stressed during your no spend challenge. Grab a pen, paper and maybe even your headlamp. You’re going to dig deep into your pantry or cupboards. Take an inventory of your current stockpile of groceries and make a list of what meals you can create. This is a huge part of a pantry challenge. Try to use up your entire storage of food before heading to the grocery store. After you’ve completed your pantry audit, you’ll want to get creative with meals. If you’re anything like me, you have an abundance of pasta and frozen vegetables. I’m not sure why these continually get overlooked for dinner but find some new and creative recipes to help crush your pantry challenge. Personally, I like to head over to Allrecipes and enter my ingredients into the search bar. 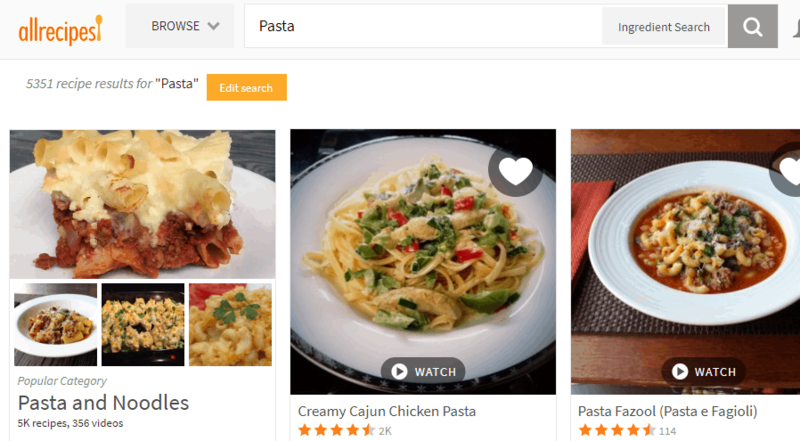 Let the magic of the internet fill the culinary void in your creative mind. Vision boards are a powerful motivational tool. Find images that represent why you’re trying to save money with this no spend challenge. Title your board “no spend 2019” and get creative. If you’re trying to save money for a family beach vacation, find images from the beach and pin them to your board. Keep your board in a common area in your home and have everyone in your family contribute. Look at it every day and use the power of visualization to help keep you disciplined on the days your motivation is low. As adults, we often put the feelings of others before our own physical, emotional, and financial well-being. We blindly agree to partake in events even if they are wildly inappropriate for our budget or financial goals. Saying no is an acceptable response when the request is outside of your budget. Remember, you’re not shunning a loved one, or closing out a friendship. You’re simply declining an offer. Let your friends and family know exactly why you’re saying no. You’re completing a no spend challenge and this request isn’t in the budget. You love them and value their friendship, but you can’t partake in this event. There is nothing worse than when someone agrees to something and then flakes out the day of the event. Be open and honest with your friends and family. Don’t lie because you’re afraid of hurting their feelings. I promise you, you’ll hurt them much more if you flake out later on. Buy yourself some time if you feel peer pressured. If you’re in a group setting and everyone else is agreeing to partake in an event that you can’t, don’t cave to peer pressure. Let your friend know that you’ll have to go home and discuss it with your spouse, or check your calendar. This will allow you the opportunity to chat with your friend one on one. You can then explain to them why you’re declining their offer without feeling embarrassed. A no spend challenge isn’t about depriving yourself of fun. It’s about saving money! There are tons of fun, free activities you and your family can enjoy while rocking no spend 2019. Depending on where you live, the list could be huge! If you have children, make the no spend challenge fun by doing a free family activity every day. Think of it as a reward for not spending money. Before you even begin your no spend challenge, have a family meeting to discuss everyone’s questions and concerns. It’s best to openly communicate to avoid any slip-ups that may derail your money saving challenge. Be sure to give everyone (kids included) a chance to ask questions. Whether or not your family is on board will dictate your success. We often think of purchases in only financial terms. Flip the script and calculate how much this splurge will cost in your time. To do this you’ll need to divide your take-home pay by 40 hours. Don’t use your gross salary, use the salary that you actually bring home each week. If you bring home $500 a week, that would be $12.50/hr. Now use this to evaluate how much of your life will need to be devoted to paying off this purchase. A trip without a road map often leads to frustration and failure. 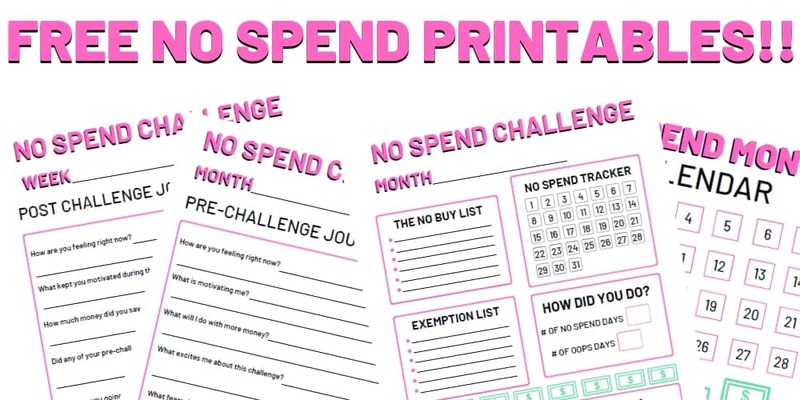 Consider these no spend challenge printables your road map to success! Each section has a different purpose. The calendar view allows you to tap into your creative brain and do some coloring as you complete full no spend days. Watch as the month fills up with color and your bank account fills with money! Woot Woot! There are 6 journal entry sections. One to document your thoughts pre-challenge, four sections to cover each week and then finally a section to cover your feelings post challenge. Also, don’t forget to write down your rules and exemptions! Make it unique and add your no spend bullet journal to your no spend challenge vision board! Failing stinks, right? Sure, it does… but we often learn the most from our failures. If your no spend challenge didn’t go quite as planned, that’s ok.
Don’t do, what everyone thinks you’re gonna do… and just flip out! The first in dealing with failure is accepting that it happened. Accept the negative feelings and don’t try to reject them or push them away. If your no spend challenge didn’t go as planned, it’s ok. You tried something new, and you now have some great experience to help ensure the next attempt is a huge success. Evaluating why your no spend challenge failed is crucial. Remove blame and look for facts. What happened and why did it happen? Did you fall victim to an impulse buy? 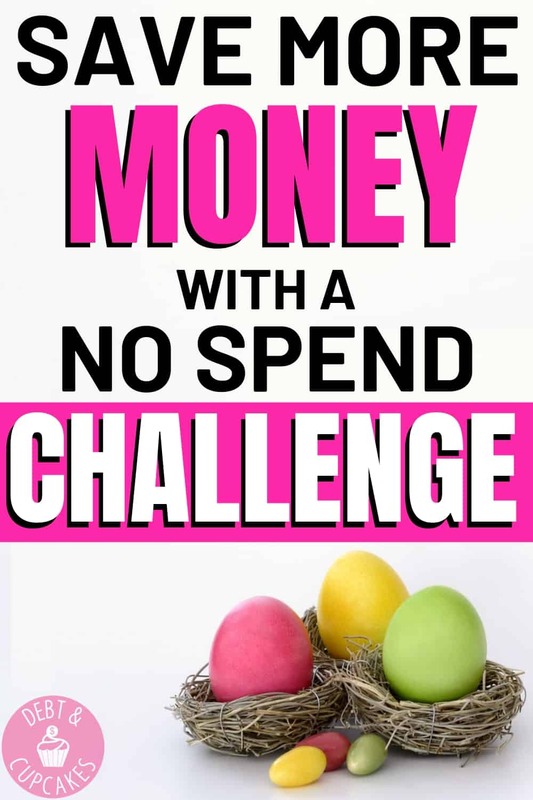 Did you plan your no spend challenge during the wrong time of year? Maybe your family didn’t understand or wasn’t on board with the challenge. Find the cause and put a plan together to ensure it doesn’t happen again. I’m sure you fell off your bike a few times when you were learning to ride. What did you do back then? Quit forever? NO! You jumped back on that bike and you rode off into the sunset! The same can be said for your no spend challenge. You failed… so what?! It’s time to jump back on that financial bike and pull a wheelie. Use the valuable experience you’ve had to plan your next no spend challenge. Don’t delay the start either. Have another family meeting and start right away. You did it! You successfully completed your first no spend challenge! Now what? Well, there are a few pitfalls you’ll need to avoid post challenge. No! It’s easy to come out of a no spend challenge with your financial guns blazing, but making up for lost spending will completely offset the awesome work you just completed. Resist the urge to splurge (hey that rhymed) on all of the things you’ve refrained from buying while completing your no spend challenge. After your challenge ends, have a family after action review. Discuss how everyone felt during the challenge. What went right? What went wrong? Could you do anything differently next time? Allow everyone a chance to talk about how they felt during the challenge and how they’re feeling now. Having a voice is important, and allowing everyone to be involved will increase the likelihood you can repeat this awesome money saving win! Use this time to do some self-reflection and complete your post challenge journal entry. Address how you’re feeling about the challenge and allowing time for your emotions to be addressed. What kept you motivated during the challenge? Did any of your pre-challenge fears become reality? Document your self-reflection and keep it in your no challenge bullet journal. Never forget how important your emotions are when it comes to your spending habits. Allow time for self-reflection to ensure you can build off of this success. Wow… We’ve covered a lot of ground here. You’re now prepared to not only start your first no spend challenge, but to dominate it! 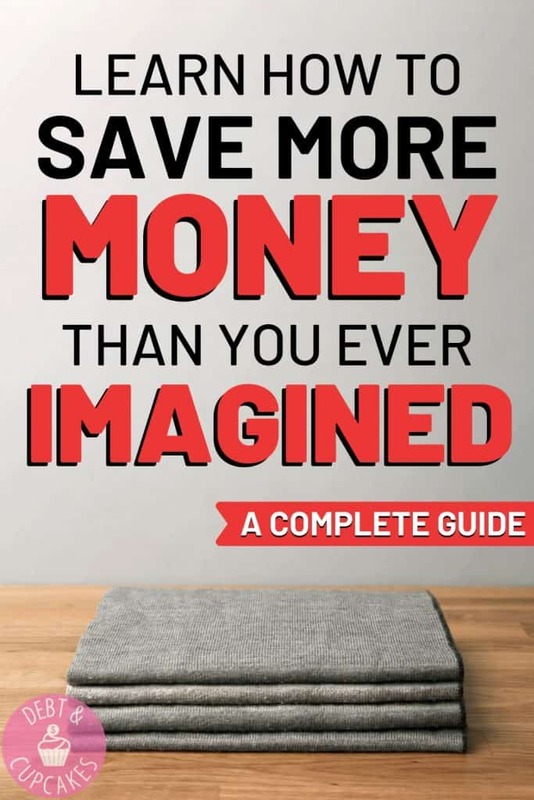 You don’t have to make more money to save more money. The no spend challenge tips you just reviewed will be your guide to success. Don’t forget to bookmark this page and let us know how your no spend challenge went! You. Can. Do. This!! This is a great post. I think that there is a lot of value in cutting out the excess and focusing on what matters for a time. I love the section of free things to do. We often overlook the simple (sometimes more meaningful) things to chase after expensive experiences or shopping for sport. Thanks for reading!! You’re right, free is often viewed as cheap, but it can be a lot of fun!